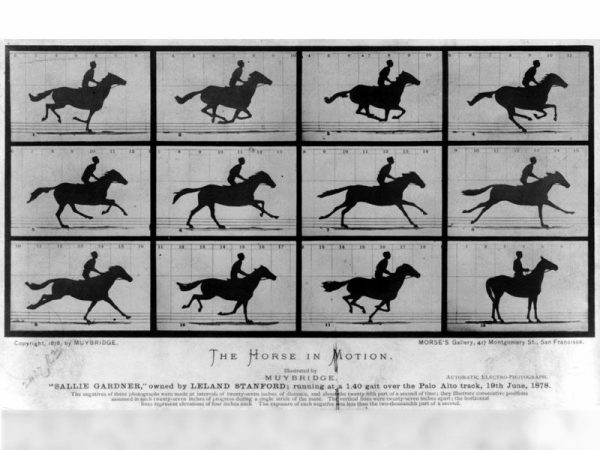 How a 19th-Century Photographer Made the First ‘GIF’ of a Galloping Horse « Adafruit Industries – Makers, hackers, artists, designers and engineers! In June of 1878, before the rise of Hollywood and even the earliest silent movies, Eadweard Muybridge shocked a crowd of reporters by capturing motion. He showed the world what could be guessed but never seen—every stage of a horse’s gallop when it sped across a track. In the 19th century, it seemed as though Muybridge had used photography to stop time. When the Industrial Revolution was underway, and scholars were obsessed with identifying, cataloging and potentially mechanizing nature, Muybridge’s photo sequence of a moving horse was a milestone. “The breakthrough is that the camera can see things that the human eye can’t see, and that we can use photography to access our world beyond what we know it to be,” says Shannon Perich, the Smithsonian’s curator of photography at the National Museum of American History. A new episode of Smithsonian’s Sidedoor podcast details Muybridge’s landmark photographic accomplishment.